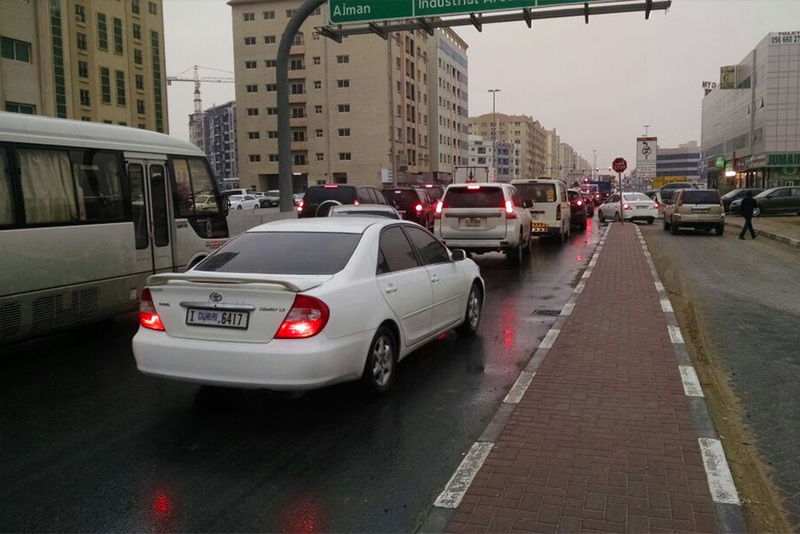 Dubai: The unstable weather on Monday continued to affect major routes in Sharjah and Dubai, causing delays ranging from 45 minutes to two hours. The weather is expected to remain generally cloudy, with rain most likely to fall across the northern and eastern areas of the UAE. Dust and sand will blow over exposed areas, and according to the National Centre of Meteorology, temperatures will remain relatively cooler throughout the day. Motorists travelling into Dubai from Shaikh Mohammad bin Zayed Road faced heavy congestion as traffic movement came to a complete halt neat the National Paints interchange and the schools zone in Muwaileh. Traffic gridlock also affected Al Ittihad Road as commuters slowly made their way from Al Majaz area to Al Mulla Plaza in 50 minutes. Although the Ministry of Education had given public and private schools a day off, the amount of traffic along the roads fared no better than regular school days. 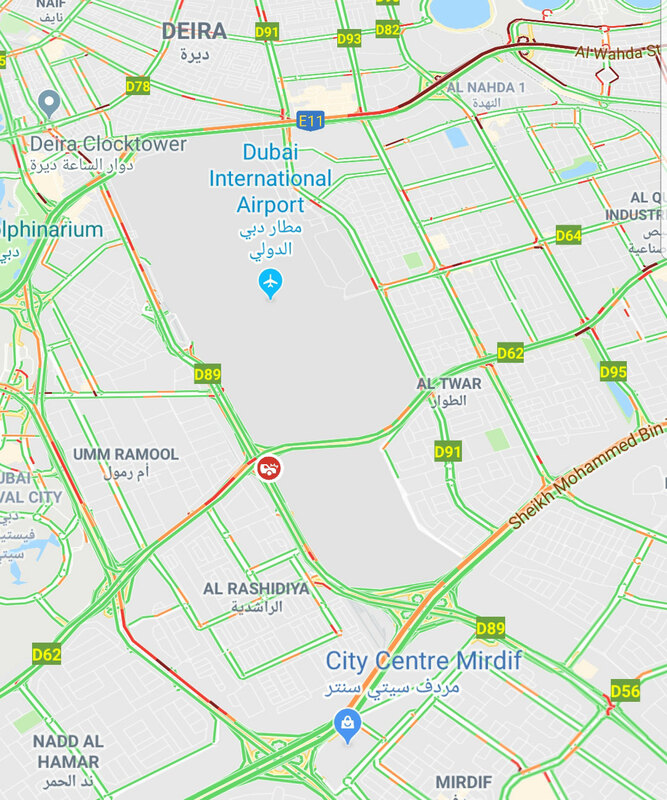 An accident was reported at 8.30am on Airport Road, causing further delays in the direction of Deira. The Department of Transport in Abu Dhabi also announced that road closures and a truck ban will be enforced during the papal visit from 6pm Monday until 6pm Tuesday. Pope Francis will attend the 'International Interfaith Meeting on Human Fraternity' on the first day of his visit, and on the following day, will conduct mass for an estimated 135,000 people at Zayed Sports City. The transport department pointed out that trucks will also be banned on Shaikh Rashid Bin Saeed Street and Saif Ghobash Street, and that traffic will be closed in both directions. Roads around Zayed Sports City will be closed to all traffic from midnight onwards.